Ding ding – it’s fight time! The welterweight title is on the line in Texas tonight, with Errol Spence Jr defending his belt against the awesome Mikey Garcia. And with this handy guide we’ll tell you how simple it is to get a Spence vs Garcia live stream no matter where you are in the world. Garcia is ascending two whole weight classes to take on Spence Jr in a title bout for the latter’s IBF welterweight belt. Spence is arguably the world’s best fighter at his weight, so the appeal for legendary fighter Garcia to show him who’s boss is easy to see. The undercard to the Spence vs Garcia fight is set to start tonight (Saturday, March 16) at 9pm ET, 6pm PT – so that’s 1am GMT on Sunday morning. We’re expecting the headliners to head to the ring no earlier than around 12am midnight ET, 9pm PT, 4am GMT. Garcia (39–0, 30 KOs) has an undeniably stunning record and is taking a big risk by moving up in weight category to take on the welterweight champ. While Spence Jr (24–0, 21 KOs) holds the experience in his favour as the resident in the weight class he also has an extra benefit as this is his turf in a more literal way – he grew up in Texas. That should mean he has the crowd behind him too during this super fight. Both fighters are undefeated and are both ranked in The Ring’s top 10 pound-for-pound fighters – but someone will almost definitely lose their perfect record. While Garcia has won titles in four weight classes, Spence holds the world title in the welterweight arena where some of the greatest talent in boxing currently exists. As a measure of this fight’s importance, WBA regular welterweight champion and legend Manny Pacquiao will be attending this match to watch it live. And you can watch it live too as if you were right there with him. To catch everything online, you’ve come to the right place. Read on to find out how to stream Spence vs Garcia live anywhere in the world. Keep scrolling to see how to watch the boxing in the US and UK (spoiler alert…it’s absolutely FREE in the UK). But if you’re a resident of one of those countries – or any other, for that matter – who is worried about being away from your country and missing your domestic coverage of the Garcia vs Spence Jr fight, then fear not, there’s a way to watch that doesn’t involve trying to find a grainy, illegal feed. And remember that there’s lots more benefits to VPNs, too. Many people are now installing them as their default first line of defence against cybercrime – their encrypted tunnels mean that online banking and shopping become much safer. And as well as boxing, there are loads of other content options (other sport, foreign Netflix, etc) that they unlock, too. Once you’ve installed your chosen VPN, you then need to connect to a server back in your location and then head to the broadcaster’s streaming service that’s showing the Spence Jr vs Garcia fight. For example, if you’re from the UK, you would choose a server in the UK and then head over to the TVPlayer app to pick up the live, domestic coverage. 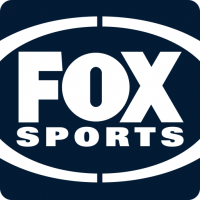 The Spence Jr vs Garcia fight will be shown tonight live on Fox Sports PPV. The bout will costs $74.95 on a pay-per-view charge allowing you to watch it online or on TV where available. Not in the US today but want to watch the PPV stream anyway? 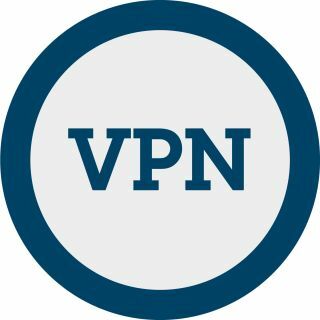 Then you probably know the drill by now…you can use a VPN to change the IP address of your laptop, mobile or streaming service and catch the coverage as if you were back at home. Great news UK fight fans! The Spence Jr vs Garcia boxing will be broadcast on your shores for free. It will be an early morning (or late night! ), but that means you can watch all the excitement by simply turning over to ITV 4. 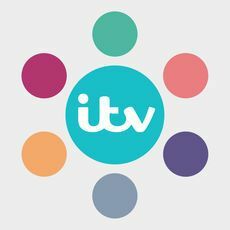 Or you can use the ITV Hub app or an online player. We really rate TVPlayer.com as a great way to watch the fight via a device other than your TV. In fact, TVPlayer offers another handy feature, too, which could be especially useful considering the time of this fight. The site offers a free one month trial to its TVPlayer Premium option, which will let you record the fight and watch it back at a more reasonable hour. And don’t forget that if you’re abroad this weekend and wishing you were back at home so you can watch the action free, then using a VPN service will ensure you’re able to stream the fight from anywhere. Just follow the above instructions.